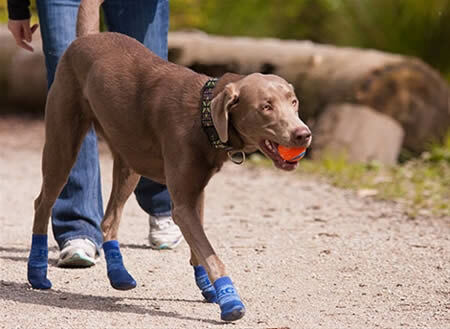 Pawks Sport Indoor / Outdoor Dog Socks provide comfort and traction for indoor and light outdoor activities. 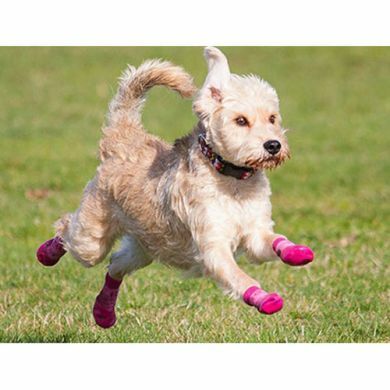 Made of soft quality cotton/spandex with an anti-slip wrap around silicone sole, Pawks dog socks keep your dog steady indoors and allow for the versatiltiy of wearing them outdoors on walks and during play. 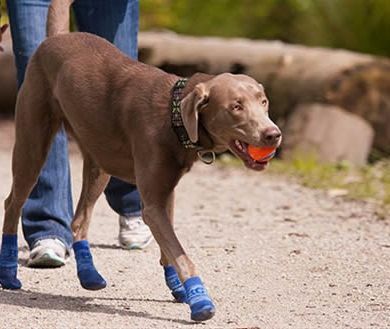 Pawks Sport provide increased mobility and confidence in senior dogs both indoors and outdoor. 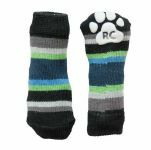 Read 45 customer reviews of Pawks Sport Indoor / Outdoor Dog Socks. The average customer rating is 4.6. Have just tried these out on a few walks. They work a lot better than ordinary socks - they don't get wet. Also, they fit better than ordinary socks and imagine they will be a lot more durable. 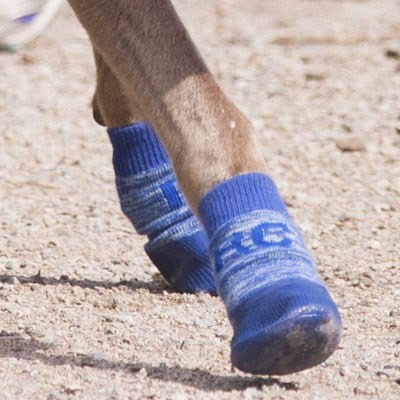 outdoor dog socks fit perfectly and my dog doesn't try taking them off. They have also curbed his desire to paw me all the time. The Pawks socks have worked perfectly for our old boy, Smudge. 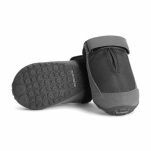 He had difficulty stopping his hind legs from slipping on hard floors due to back issues and these helped a great deal both indoors and out. They look very small but stretch well and did not fall off. They are also light and easy to wear all day. Thanks for your great customer service also, it was much appreciated. Fast delivery, good fit but really only for quiet dogs. My girl runs around and they soon fall off.Will be trying some of the more fitted boots with straps style next. 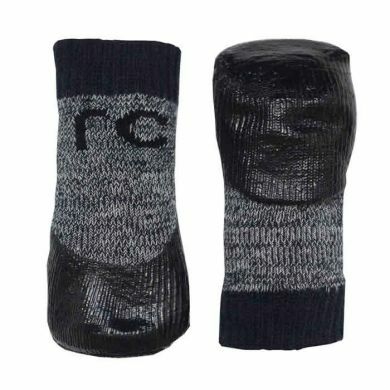 These socks are great. Just be aware that the sizes are smaller than the measurements provided. I bought the medium according to the size chart but they were too small so had to buy the large. My 13 year old Golden retriever has weakness in her hind legs and drags her back feet. 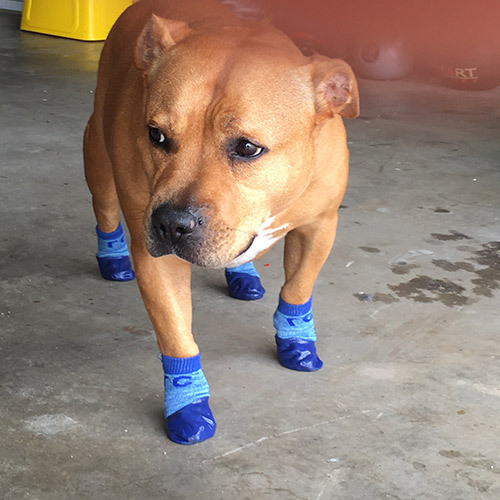 These socks are light enough not to worry her but still protect her paw pads and nails from the pavement. They are also more durable than they look. They are wearing really well. 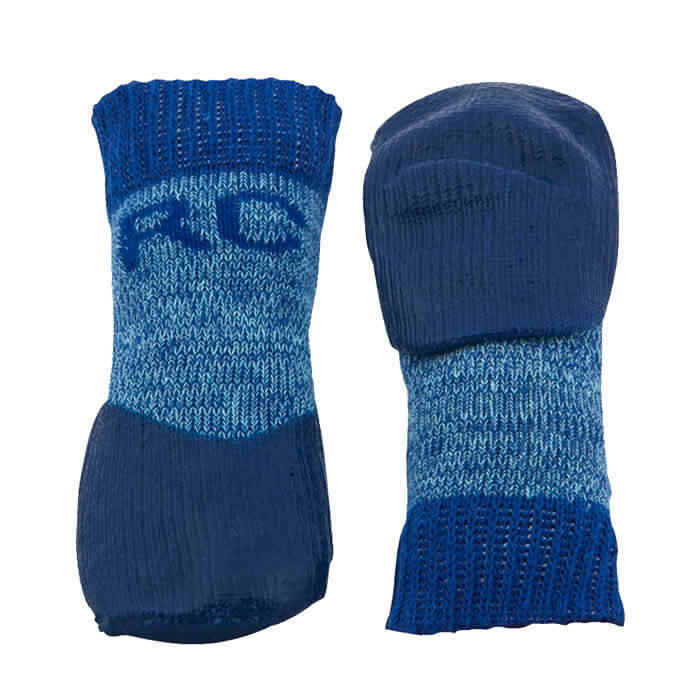 A nice reinforced sock with a rubber sole - perfect for walking on slippery surfaces or for slipping on over an injury. They run a little small and are quite stiff so double-check the sizing. 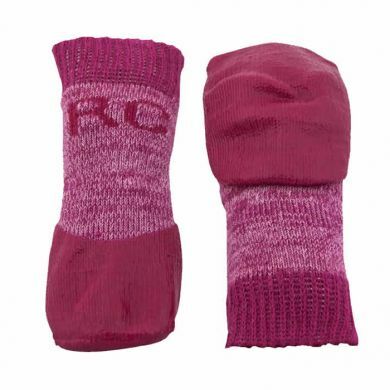 We bought these socks to help our 12 year old Rough Collie Portia whose back legs had been slipping on our timber floors. 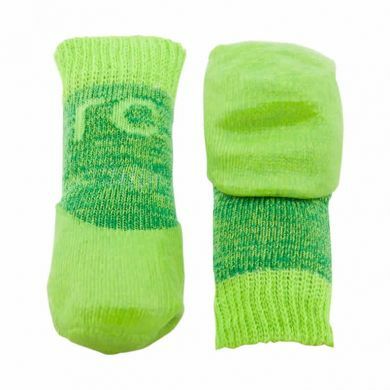 The socks looked impossibly small when I took them out of the packet but fit perfectly. She didn't object to us putting them on and has made no attempt to take them off. She's walking around now like she used to and is even able to tackle the stairs again. I can't believe what an instant fix these socks have been. I'm so impressed. 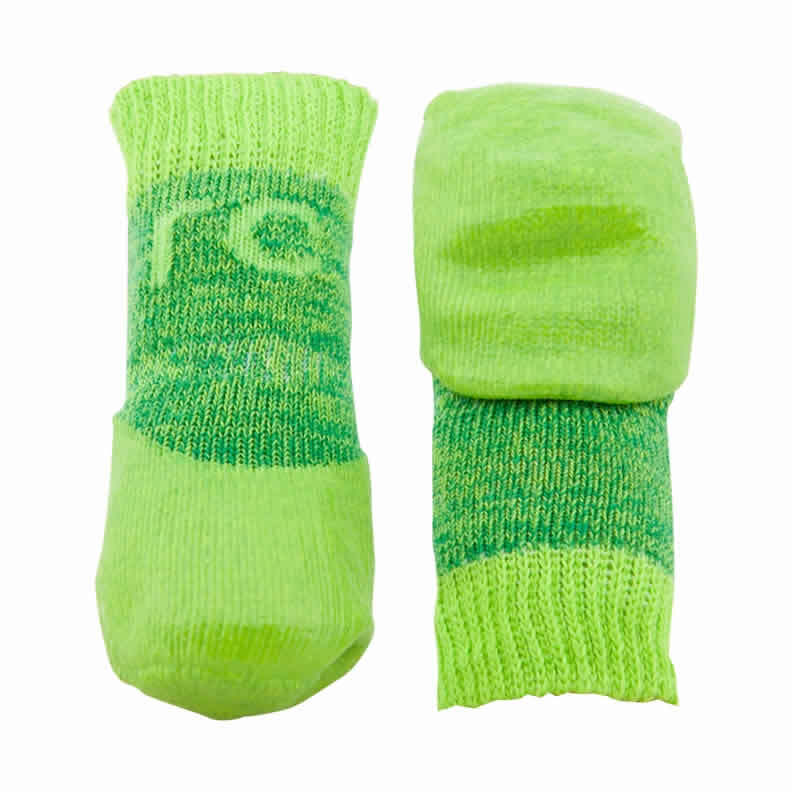 I am really happy with the Pawks Sport Indoor/Outdoor Dog Socks. They fit my dogs paws really well and he now doesn't slide around on the polished floor. A wonderful improvement for an old dogs quality of life. Thank-you for your great service Waggle.com.au. Speaking with you directly really helped getting the right size and they arrived in the post quickly. My little cavalier loves her new indoor/outdoor socks.....after trying boots and also a spray we thought we'd give the socks a go and they do the job perfectly. 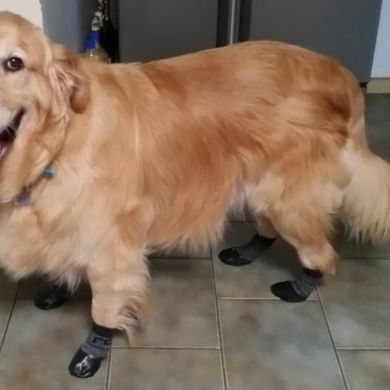 She has very sensitive feet and just hates going for walks knowing her feet will hurt but these do the trick and she moves along very fast and looks so happy! I must say though i put a rubber band around them just above her ankle which keeps them secure. These are great and have really helped our 15yr old pup on our slippery wooden floors. Only using on his back legs to help him get up. He has never tried to take them off and putting them on him is like dressing a baby. 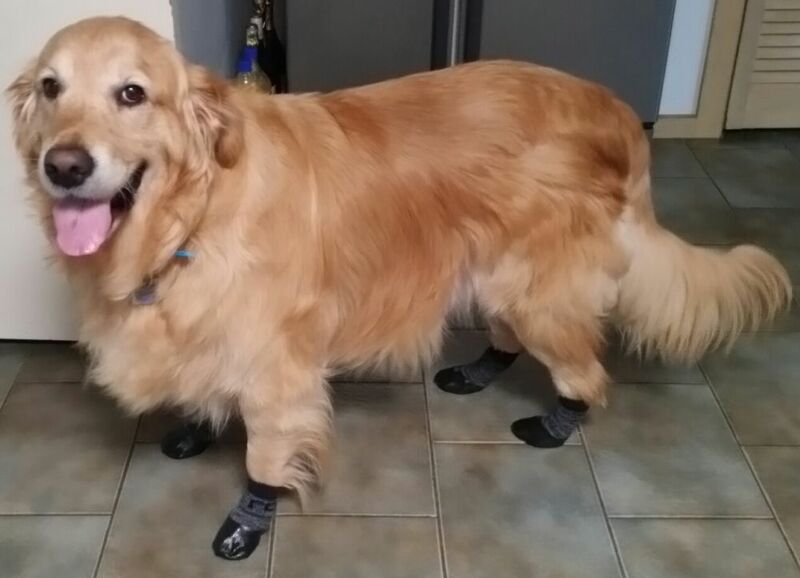 Highly recommended for dogs who need a little help managing slippery floors as they get older.